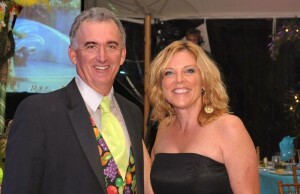 A few blogs back I recalled a night when I was challenged to auction off the colorful vest I was wearing during an event at which I was the benefit auctioneer. The fundraiser was for a private school looking to raise money for financial aid for students. I agreed to the challenge and within minutes one of my favorite, signature vests was sold to a generous donor who offered $5,000 for the article of clothing. Sure, it was an unusual request, but like I’ve said before, you always have to expect the unexpected during a live auction. I was happy to do it for the charity since I figured it was going to be a one-time thing. I could not have been more wrong. Recently I was the benefit auctioneer for an event for the Guadalupe Center, an organization that educates children and families and serves the disadvantaged poor in the farming town of Immokalee, Florida. Well, this was a challenge I had been through before and didn’t hesitate to say yes. 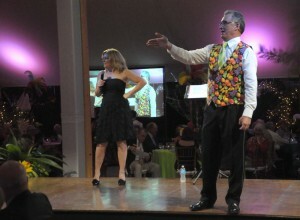 Knowing what a previous vest sold for I began the bidding at $1,000. And guess what. The bids kept going up and up and up. And, I’m proud to report I set a new personal record for an article of my clothing. That’s because the vest sold for a whopping $15,000. It may be a while before I top that. But, it was all for a great cause. My only challenge now is to restock my dwindling closet. Scott – you left out another detail . . . . that same gentleman then got you to part with your suspenders for $2,000. That’s a lot of money for some strips of elastic! 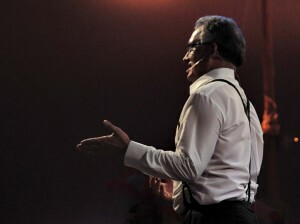 The whole incident shows what a dynamic, engaging auctioneer can accomplish when put in the same room with a creative, generous individual. Kuddos Scott!